Bios by Steve Rogers Niko - A native Richmond,VA, Niko developed his writing ability at age 6 and began performing around town at the age of 9. With his mother encouraging him to write a song a day, he began to develop his own style that fit him. Being unhappy with rapping and singing about ordinary topics, he began writing about things interesting to him. Many of these topics came from life, females, astrology, comic books, and his family. Quickly he became a well known writer/performer in his hometown. In June 2009 he graduated high school and attended Elizabeth City State University that August. Recently, in October of 2009 he formed an alternative band by the name of T.I.M.E. with his cousin Reggie Tarver who is a producer/musician. Reggie - Is a producer/musician from Washington, DC. His music career first started in middle school where he learned how to play the clarinet and alto saxophone. He gained his basic knowledge of music composition and theory from his music teacher at the time, bassist Yusef Chisolm. Volume is now playing the tenor sax in his high school marching band and for his church's youth choir. At the age of about 14 his ear for music started to develop and led him to his current passion in music production. Since October of 2007 Reggie has been producing under the alias Volume and has been on the grind constantly night and day working on his catalogue. He dabs in the genres of rap,hip hop, r&b, pop, alternative. In June 2009 he graduated from McKinley Technology High School and attended Elizabeth City State University that August. Recently, in October of 2009 he formed an alternative band by the name of T.I.M.E. with his cousin Niko Sheffield who is a songwriter/musician. T.I.M.E. (Taking In Music Eternally) - When college began, Niko and Reggie aspired to be future music movers in their own right. 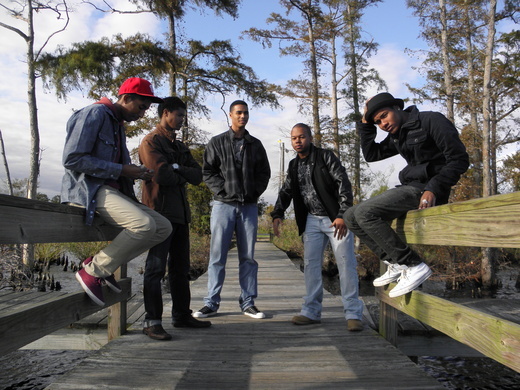 The common goal they shared brought them together and they formed an alternative band known as T.I..M.E. It didn't take long for the two to find a specific sound that fit them. After a Facebook video of their song "Hero", the duo was asked to be guests on the campus radio station. Not much later, they performed at an open mic and were asked to showcase their music at a student body meeting. T.I.M.E. is currently working on their EP entitled "Broken Clock Faces". The divine duo and self-proclaimed Time Keepers of Hip-Hop & Rock are definitely on their way. All they're doing is waiting on the right T.I.M.E.